ISMAYA Group is proud to announce to have bagged 2 trophies at Jakarta’s Best Eats Awards 2019 on April 10th, 2019. Winning an award for Best Casual Dining was The People’s Cafe, and Best Upmarket Venue for the second time in a row was Mr. Fox. Having won for 2 years in a row, Mr. Fox has retained its title for being one of the top outlets for the Upmarket Venue category. With the unprecedented growth of the Jakarta Bar Scene, Mr. Fox has consistently proven to be the hot spot for the cocktail drinkers of the city. As one of the chicest bars in Jakarta and as the ultimate lifestyle destination in Surabaya, Mr. Fox welcomes his guests to wander on a journey at the house of Fox. 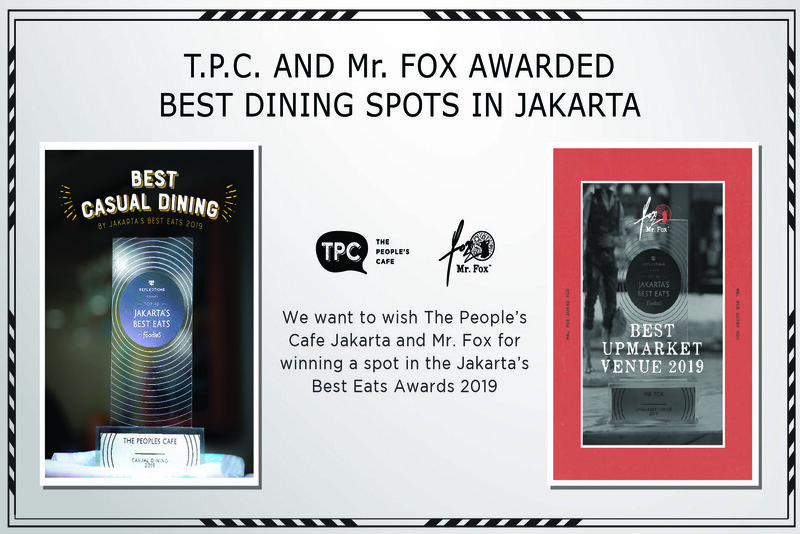 The People’s Cafe as one of the winners in the Casual Dining category, has seen rapid growth with 15 outlets spread across Jakarta, Balikpapan, and Surabaya. 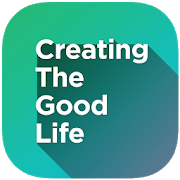 Serving street food from around the world which what we coin as the term Global Street Food that fits everyone’s palates and pockets, is what earned us the recognition which led to winning the award. Amidst the ever evolving dining scene in the capital city of Jakarta, it is an honor for us to have earned these awards which act as an appreciation to our constant hard work that we put in developing every brand. Stopping at nothing to always bring the best of culinary journeys for everyone, you can expect more exciting things from ISMAYA Group.